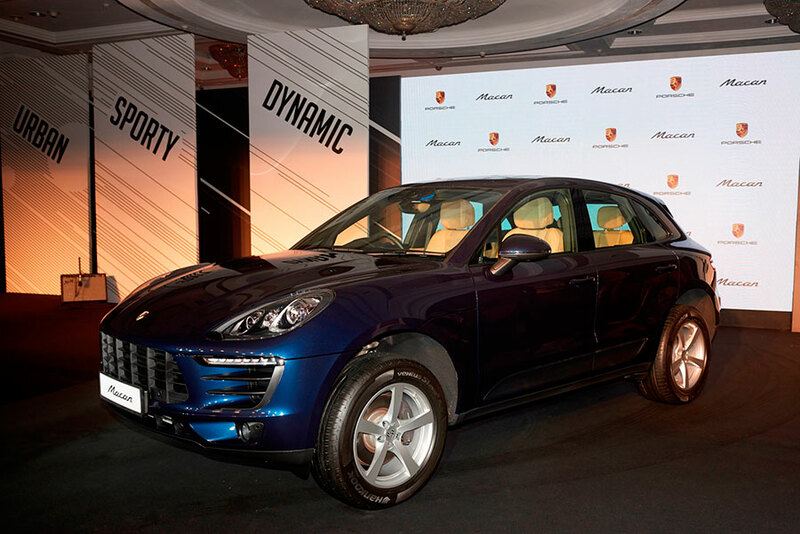 Boasting a specially developed four-cylinder engine, the new Porsche Macan made it’s highly anticipated national debut at a press conference at the Taj Lands End in Mumbai today. The arrival marks the latest addition to the sports car manufacturer’s model range now available in the country, following the recent introduction of the new 911. Under the bonnet, the Macan features a turbocharged two-litre engine. With 252 hp (185 kW) from 5,000 to 6,800 rpm and acceleration from 0 to 100 km/h in 6.5 seconds (when equipped with the optional Sport Chrono Package), the model demonstrates its true sports car capabilities. With an unladen weight of 1,770 kilograms, the Macan is the lightest SUV made by Porsche, which translates into agile handling. The high standards of the Macan are raised further in the new model thanks to the seven-speed PDK dual-clutch transmission, latest generation Porsche Communication Management (PCM) and variety of distinctive interior and exterior features delivered as standard. The new addition to the Macan range further evolves an already exceptional sports car line-up in the compact SUV range to new heights, at an attractive price. With a specially tailored engine, sporty design accents and cutting edge technology, the Macan is the definition of a five-door sports car, remaining true to its concept as a car built for a life of adventure. This compact SUV packs just as much punch, and the same outstanding drive comfort, as you would expect from any Porsche. The four-cylinder turbocharged engine of the entry-level Macan was specifically tailored to the model, ensuring sporty and efficient performance. Its powerful 370 Nm of torque, available between 1,600 rpm and 4,500 rpm, allows for fast overtaking manoeuvres. This is made possible by the engine’s two bar of boost pressure, charge-air cooling, petrol direct injection and variable valve timing. Delivering characteristically sporty driving dynamics in the new model is the standard Porsche Traction Management (PTM) active all-wheel drive system. It comprises of an electronic and map-controlled multi-plate clutch, automatic brake differential (ABD) and anti-slip regulation (ASR). The electronically controlled multi-plate clutch regulates the distribution of drive force between the rear axle and the front axle. Driving conditions are constantly monitored to enable a precise and lightning-quick response to a variety of situations. 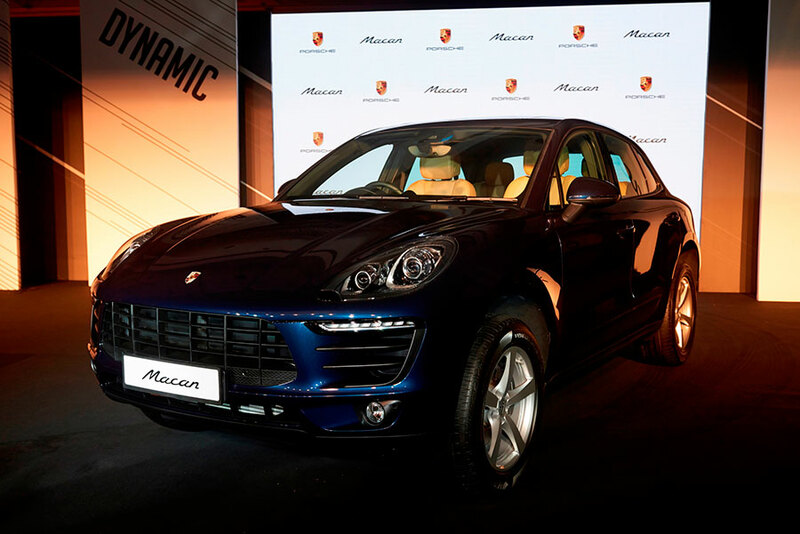 The Macan also features the electronically controlled Porsche Active Suspension Management (PASM). The PASM shock absorber adjustment system increases driving pleasure, safety and comfort. It automatically regulates the damper force on the front and rear axles. Depending on the road condition and driving style, PASM optimally reduces body movements – on gentle stretches, when driving off-road and even when adopting a more dynamic driving style with strong acceleration and braking phases such as on race tracks. 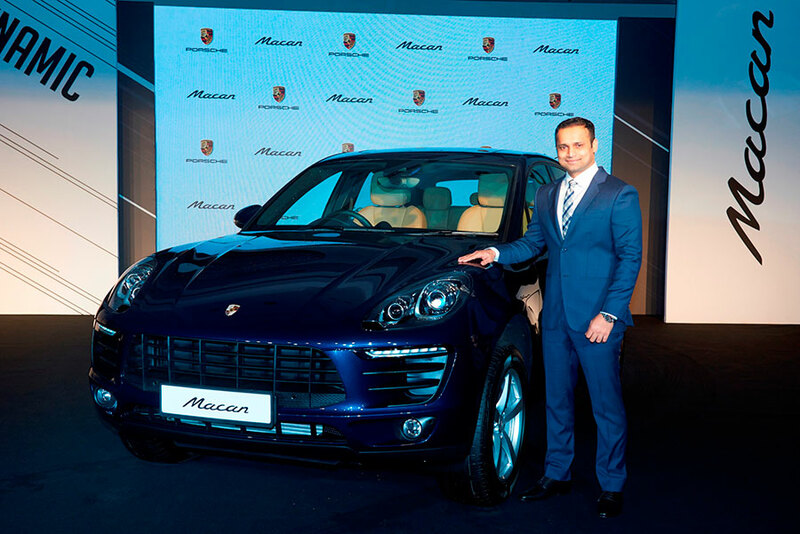 Distinguishing design characteristics and an extensive list of standard equipment make the new Macan an attractive offer for customers in India. Accentuating design elements include side window trim strips and brake callipers in black, the latter shielded behind 18-inch wheels, alongside an exhaust system with two single tailpipes made of brushed stainless steel. In line with many of the S models, the Macan has comfort seats with electric eight-way adjustment on the driver’s side, Alcantara middle seat panels, a lane-departure warning system and a powered tailgate. The new turbocharged four-cylinder Porsche Macan is now available for sale at Porsche Centres across India, with a basic retail price ex-showroom in Maharashtra of INR 76,84,000.